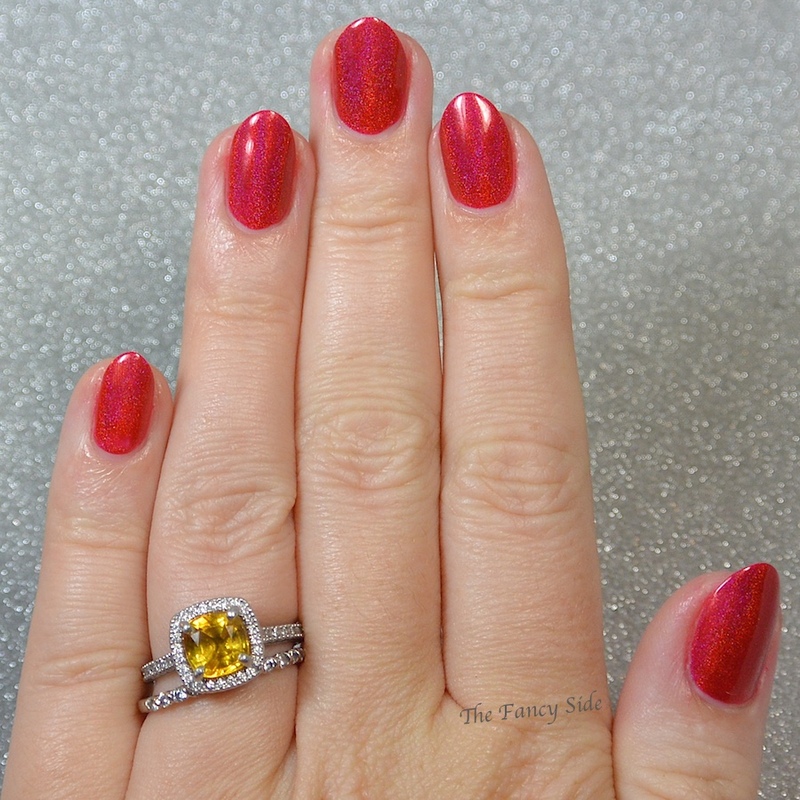 The first prompt for the #31DC2015 is Red, so what better way to start this out than with a sumptuous red holo. 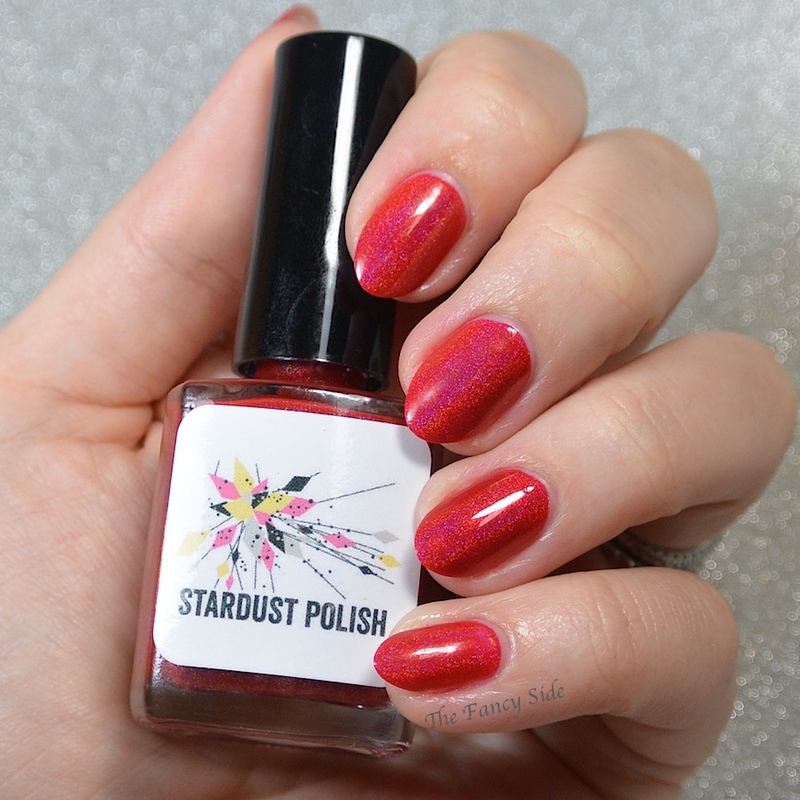 This is Stardust Polish Yes Your Majesty. It's a bright red holographic polish, can't beat that. I used three thin coats for full coverage here, and it was a dream to apply. This is my first time using this brand, and I'm so happy I did. Day one down. Now 30 more to go. Eek! See you tomorrow for orange nails. You can see all the prompts below. Good luck to you too! It's going to be a whirlwind month, I can tell! I love this kind of challenge. Very pretty ! Such a beautiful red! I did this challenge last year and it drained me, this year I'm sticking to a 30 Day swatch challenge lol! Thanks for the heads up! I'm trying to work ahead when I can, so I'm not exhausted. Such a pretty red! Good luck! Lovely choice! That is one stunning holo! You so crazy, girl. 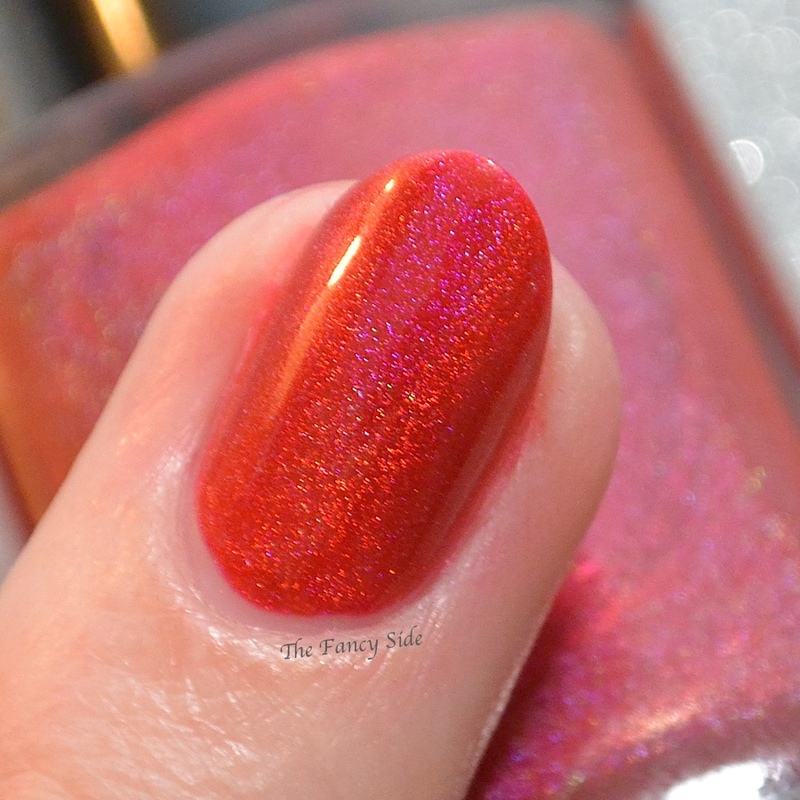 However, this is a gorgeous red holo. I want it naow. I know. Give me like 4 days and I'll be bitching about it, but I'm so stubborn I'll see it through. Definitely a challenging challenge! Love the red. Enjoy! Ha, you're not the only one with a loose screw!!! I love your red polish pick and good luck with the rest of the challenges! I know, I can't believe how many people are doing it! That red looks amazing with your nail shape! Woo Hoo a friend in the game! Thank you so much dear! I'm a sucker for a good red holo!!! 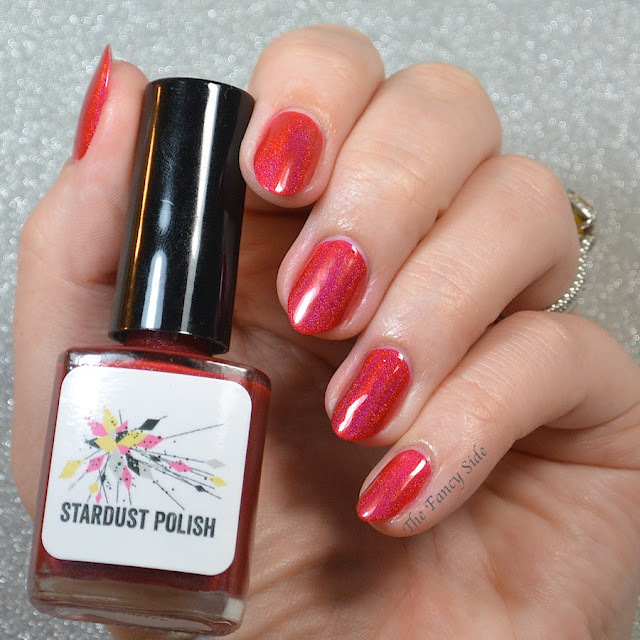 That's a lovely red holo! GAH! Another brand I keep forgetting to try. Beautiful polish. I'm so happy I tried it! I have another in my drawer. I need to get to it soon. I need this in my life! So pretty! Thank you! You can't go wrong with a good holo! This polish is amazing! I love red holos. Oh man, that's toooo gorgeous! It really is, I love a good holo and this one knocks it out of the park. I LOVE Stardust!! Drema creates the most gorgeous polishes!!! This was my first and I promise it won't be my last. Stunning polish!